Helping Smokey Bear Prevent Wildfires since 1979. 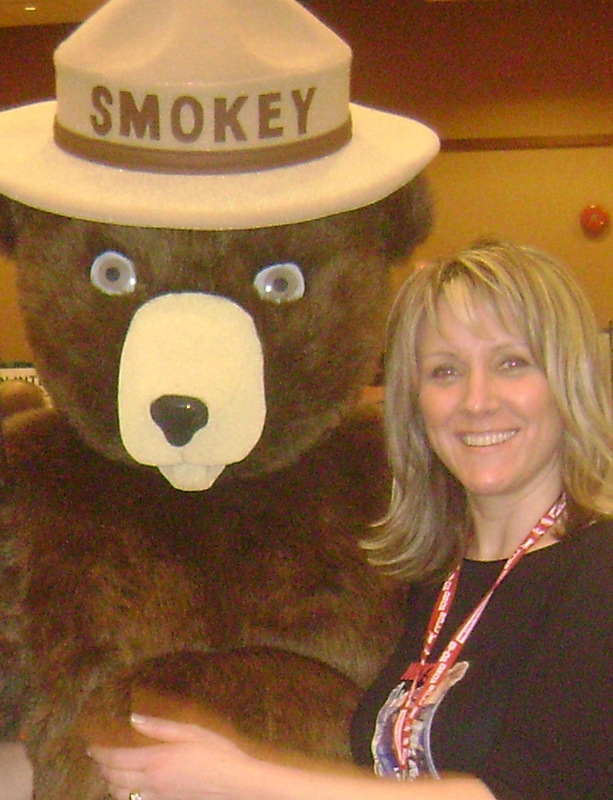 Tracy Last, owner of SmokeyBear.ca Promotions, started in 1990 as manager for the Smokey Bear division of her father's company. It was in 1979 that Gerry Larson Associates became an Official Canadian Licensee making this now almost our 40th year of supplying Smokey Bear materials. Products available through www.smokeybear.ca are sold exclusively to Fire Service agencies. Smokey Bear Collectors Please contact your provincial Fire Centre for more information and whether products are available by participating in their campaigns. Be Careful with Matches and Campfires! Only YOU can Prevent Wildfires!